Arthur Goldschmidt, a Leipzig dealer in animal feed and an exporter to South America, was more passionate about books than business. His private collection numbered 40,000 carefully indexed volumes and he engaged a librarian to take care of it. After the Nazis seized power in 1933, Goldschmidt was persecuted as a Jew; his assets were liquidated and his company confiscated. For survival, he sold his treasured collection of 2,000 almanacs -- spanning three centuries -- for a pittance to the Goethe and Schiller Archive in Weimar. He fled in 1938. His grandson Tomas Goldschmidt, who was a toddler when Arthur died in poverty in Bolivia in 1951, had no idea the collection had survived until he was contacted by the London- based Commission for Looted Art in Europe -- 70 years after his grandfather’s escape. 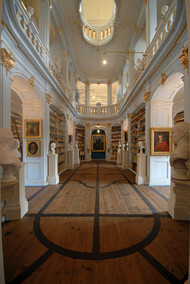 The Commission traced him at the request of the Duchess Anna Amalia Library in Weimar. The library has since reached a restitution settlement with Goldschmidt and, just as importantly for him, helped to illuminate an era of family history. He described his first visit to see the almanacs in 2007. Goldschmidt’s story of expropriation and persecution is echoed in hundreds of thousands of Jewish biographies. The Nazis not only burned books, they stole countless volumes. There is no official estimate for how many Nazi-looted books remain in German libraries. Tracing their owners and returning them is a task that librarians say will take decades. 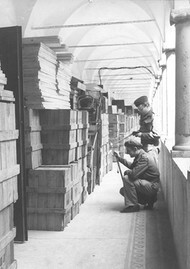 British troops examine a collection of books, mostly looted from Jewish owners, at a monastery that the Nazis planned to use for an elite university in Tanzenberg in 1945. “It would take one person 25 years to look through every book,” Proelss said. Yet that is not enough, because few books carry visible signs of being looted. Libraries need also to comb through their acquisition records and other archival sources, according to Juergen Weber, the deputy director of the Duchess Anna Amalia Library. The Rococo hall of the Duchess Anna Amalia Library in Weimar. 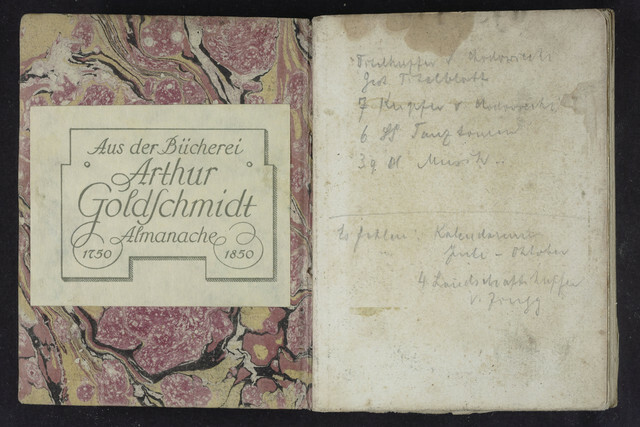 In February the library returned a collection of almanacs to the heir of Arthur Goldschmidt, a Leipzig businessman persecuted by the Nazis. The Weimar library is one of the leaders among German libraries in returning stolen books. In Weimar, Goldschmidt’s almanacs are stored in protective gray jackets in a modern basement depot. Above it, the library’s rococo hall gleams anew in white-and-gold glory after being ravaged by fire in 2004. Weber said about 40,000 of the library’s books were acquired during Nazi rule. So far 4,000 have been identified as looted, though the actual figure may be triple that or more. Librarians have also discovered Nazi-looted books acquired in recent years from booksellers, said Michael Knoche, the library’s director. While the restitution of Nazi-looted art frequently makes headlines because of the value of the items, books attract less attention. Goldschmidt’s almanacs -- the Weimar library said it paid more than 100,000 euros ($130,000) to keep them -- are the biggest restitution from a German library so far. Yet the emotional value for families can be vast. Melanie Bruce’s grandfather, Albert Friedlaender, attempted to escape Nazi Germany and follow his son to South Africa in 1941. A professor of chemistry and philosophy, he never managed to flee and died in the ghetto in Lodz. His possessions were lost. Most German libraries haven’t even started to search their collections for Nazi-looted books, according to Uwe Hartmann, the head of a German government office which awards funds to museums, libraries and archives for provenance research. While 57 museums have received grants from his office, only 18 libraries have qualified, he said. “If you think how many thousands of libraries there are in Germany, that suggests there is a lot of work to be done,” Hartmann said. In the case of paintings, lawyers are often willing to work pro bono for claimants because of the value of the objects involved. Yet few individuals or institutions offer libraries assistance. The Commission for Looted Art in Europe, which has helped libraries in Bremen, Berlin, Hamburg, Marburg, Weimar and Nuremberg to track heirs, is an exception. Anne Webber, Co-Chair of the Commission, tells the story of an Israel-based child survivor of the Holocaust who received three books from a German library that belonged to her mother, who had died in a concentration camp. Her mother had inscribed her name on the flyleaves. “You can imagine what it meant to receive these books with the mother’s signature, a signature the daughter had never seen, in handwriting she’d never known, of a mother she scarcely remembered,” Webber said by telephone. The Internet made tracking lost property possible for Peter Schweitzer, a New York rabbi. While planning a trip to Berlin to research family history, he plugged his great-grandfather’s name into Google Inc.’s search engine. So his Berlin schedule last year included a visit to the Central and Regional Library to pick up a periodical about Alpine travel that had belonged to Franz and Clara Fuerstenheim, his great-grandparents.